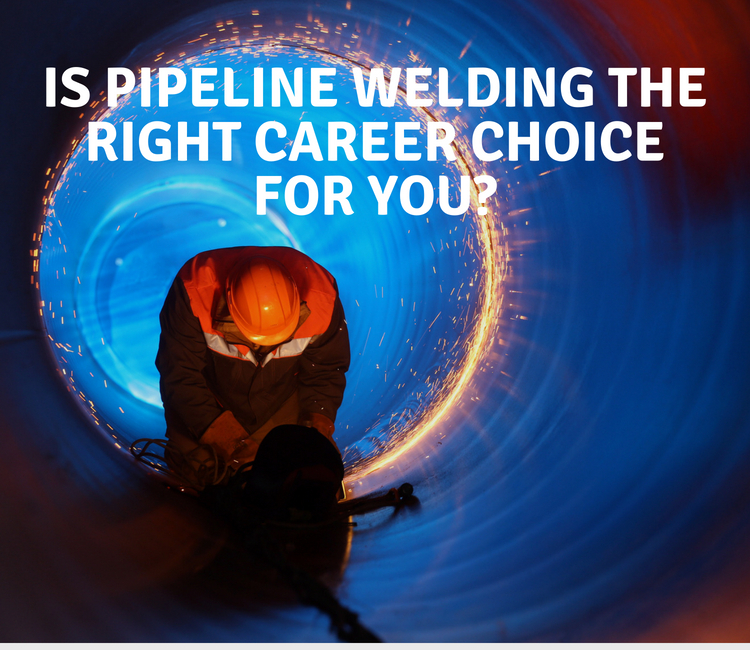 Pipeline welding is a career that will always be in demand. Welding is used in just about every infrastructure known to modern man and is used in a wide range of processing systems. From heating buildings to distributing oil and water, pipelines are a crucial component to living in today’s world. Most pipelines are underground and are used for moving gas and oil over long distances. Although other industries besides gas and oil use pipelines, jobs working in this industry typically pay more. The downside is that welders may need to relocate to where the jobs are. Pipeline welders are well trained in a variety of settings. They need to be able to weld in tight spots, indoors and out, in hard to reach places, in inclement weather, and even in dark, cramped areas. In addition to fixing existing pipeline, pipeline welders also need to be able to build new pipelines and maintain those that are already in place. A job in this occupation means being able to inspect and repair equipment, operate machinery, and be able to accurately document any performed work. While the job of a pipeline worker is often done independently, there are times when communication with co-workers is paramount. Being able to read blueprints, accurately measure, use a variety of welding machines, and follow safety protocol are also key components to successful pipe welding. 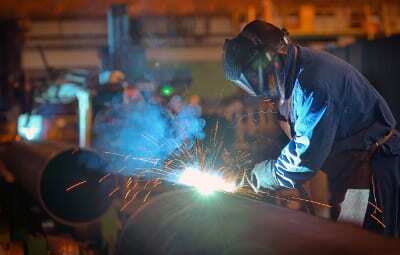 Overall, pipeline welders report being extremely satisfied in their chosen career. Ninety-seven percent of welders are male and although you can find jobs in most cities, traveling to another location can mean the pay increases dramatically. Average starting salary of pipeline welders is around $54,000 although that can go up dramatically with experience, time on the job, and additional skills. Currently, North Dakota, Texas, Georgia, and Alabama are hot markets for pipeline welders and these areas can offer pipeline welders anywhere from thirty-five to one hundred percent more pay than in other cities. There are many options available to pipeline welders who may decide not to travel to where more money is or who want to stay near home. 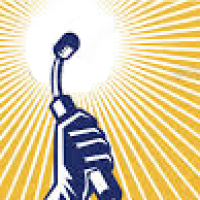 Is Pipeline Welding Right for You? For anyone who has these characteristics, pipeline welding may be a great career choice. The pay is good and the outlook for the industry is stable with an increase in jobs at a rate around six to ten percent for the next decade. Anyone wanting to become a pipeline welder can start via one of two routes: working for themselves as an independent contractor or working for a company. There are benefits to both routes, depending on what’s important to the welder. Working for yourself can mean more income, but there are costs associated with doing this. Any tools and equipment needed are the responsibility of the welder while these are provided by companies that hire pipeline welders. Paying taxes as an independent contractor can also be time consuming or costly if an accountant is needed. Companies often offer benefits such as health and dental, paid time off, and retirement plans, all of which are an additional cost to self-employed pipeline welders. These types of benefits can greatly decrease income, so it’s important to weigh out the costs before going into business for yourself. Regardless of which path is taken, a high school diploma or a GED is often a minimum requirement. Most companies employ new pipe welders in a limited role while they serve as an apprentice to a senior level welder. A welding apprenticeship typically lasts for five years, during which time new skills are learned and the new welder can get hours of experience and practice. After the apprenticeship, the pipe welder can begin to look for work as a Journeyman, or one who exhibits the necessary skills to work independently. 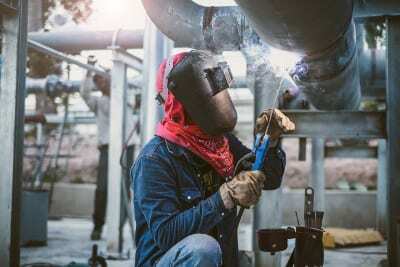 Since pipeline welding uses electric-arc welding to connect the pipeline, knowing how to properly join pipe together in this way is paramount to working as a pipeline welder. The outlook for pipe welders in general is good not only because the economy is picking up but because the U.S. infrastructure is aging. Pipe welders will be in demand for their expertise in welding for buildings, roads, bridges, and public transit across the nation. Many of these important projects were put on hold during a down economy and they are now at a crucial point in needing repair. This is true for pipelines as well. At any given time, fifteen percent of pipelines need to be repaired due to aging pipes. This translates to steady future work for pipeline welders. Underground pipelines are found in most states and exist in a network of pipeline that is complex, but they are rarely heard about unless an accident happens in which they leak or rupture. When properly maintained, pipelines function well with few incidents. While there are pipeline failures, they are rare and seldom result in injuries or fatalities. They can cause damage to property though. Because of this, the government and the pipeline industry put emphasis on the safety of the pipes and take things like design, construction, maintenance, and operation into consideration. Pipeline welders often work assessing the safety of pipeline and fixing any issues before they become a problem. The job outlook for pipeline welders is good because there are more than 305,000 miles of natural gas pipeline alone. Add other pipeline that transports oil, refined petroleum, and crude oil into the picture and there are virtually millions of miles of these pipelines crisscrossing the nation. The 1950s through the 1970s were a prolific time for laying of interstate natural gas pipelines. Prior to burying pipes underground, the pipes are pressure treated for eight hours before being given the okay to be used. This helps to eliminate potential problems, but pipes still need work done to them throughout the years and many of them have been in use for over 60 years. They are bound to need repair at some point. Working as a pipeline welder can be a rewarding career. In addition to earning a good salary, there is work available around the country. This career offers the option of working for yourself or for a company, depending on what works best for a given welder. There is also the satisfaction in knowing that miles of pipeline across the country are being worked on and maintained, allowing communities and neighborhoods to get what they need when they need it.